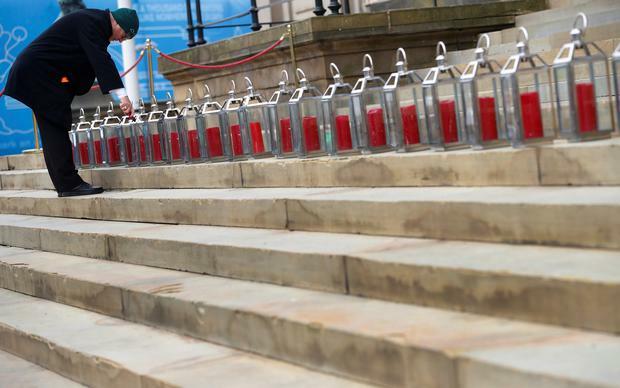 Ninety-six lanterns were lit on the steps of St George's Hall on Monday morning to mark 30 years since the disaster at the FA Cup semi-final. Pictures of the men, women and children who lost their lives in the crush on the Leppings Lane terrace of Sheffield Wednesday's ground were displayed on banners with the words "Never forgotten" and flowers were laid by family members, local politicians and members of the public. Speaking outside St George's Hall, Louise Brookes, whose brother, Andrew, died in the disaster, said: "Andrew has been dead now four years longer than he was alive. "He was only 26 when he died and he had his whole future and whole life ahead of him. I really struggle with that." Mr Anderson said the anniversary was an "emotional day" and a "milestone". He said: "Today we want to provide the city with an opportunity to be here, lay tributes and pay their respects and their thoughts to the families. "I hope it gives them comfort that the city is thinking of them today." 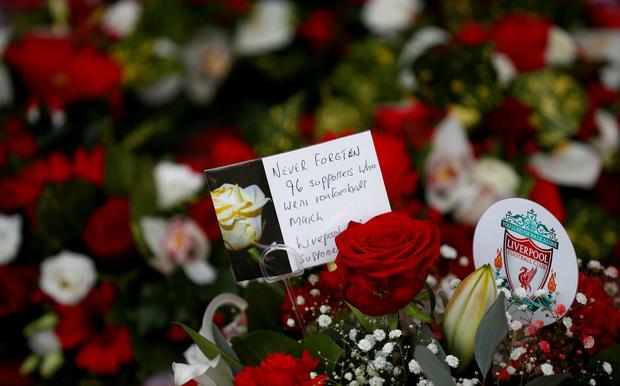 Metro mayor of the Liverpool city region Steve Rotheram, who was at the match between Liverpool and Nottingham Forest on April 15 1989, said: "We have never forgotten and we will never forget the 96. "It will be a very raw day for those people affected, not just by the loss of a loved one but who were there, the survivors for instance, and those people who witnessed the events on the day. "It's something that in my mind's eye I can still conjure up images of because I was there on the day." 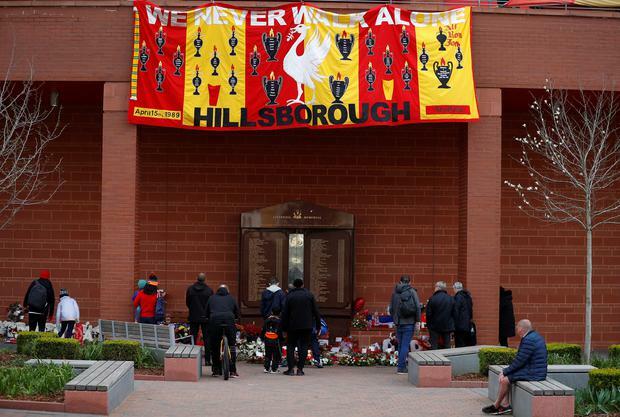 He posted a picture of the Hillsborough memorial on Twitter and wrote "Never forgotten". Plans for a public commemoration event on the steps of St George's Hall were cancelled after a jury failed to reach a verdict in the trial of match commander David Duckenfield, who is charged with the gross negligence manslaughter of 95 of the victims.